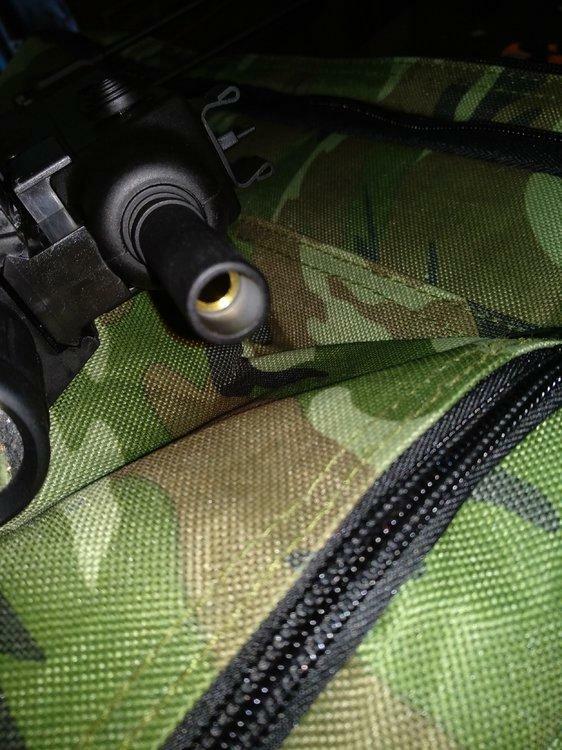 How to remove outer barrel from jg scorpion? Wanted to know if anyone had an idea or experience on how to remove and outer barrel from a jg scorpion can't seem to find anything and I don't want to just try to pull it off and risk breaking it. Tried twisting it, was a bit of resistance made a creaky plastic sound so I decided to stop. I have an idea that I may have to take apart the upper receiver, will this void warrantee or is it fine? It's Skorpion* 🤣 and yeah some retailers will say warranty is broken if you open it and others accept that all airsofters do it to their toys. 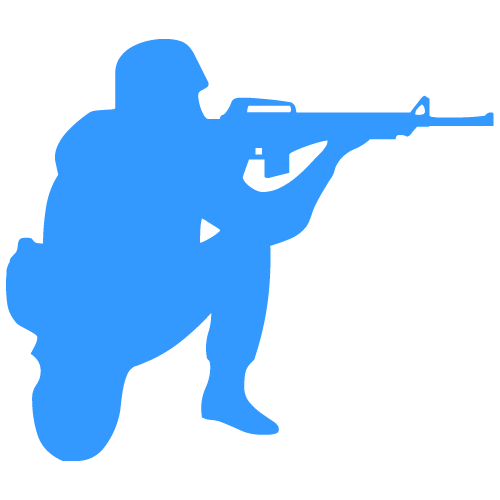 Have you tried looking for a JingGong exploded diagram of it? 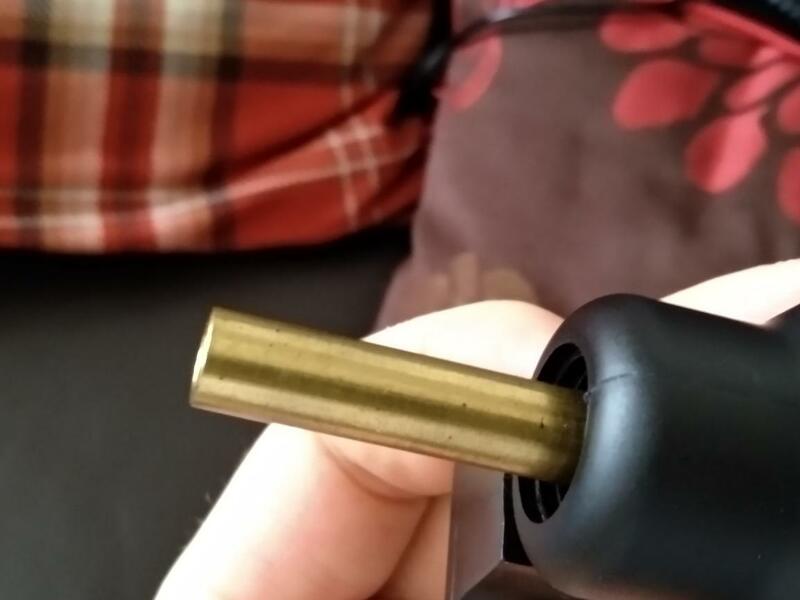 appears that it does have a second ring around the outer barrel the prevent it from just coming straight out the front, balls. Got it from taiwangun so unsure about warrantee. 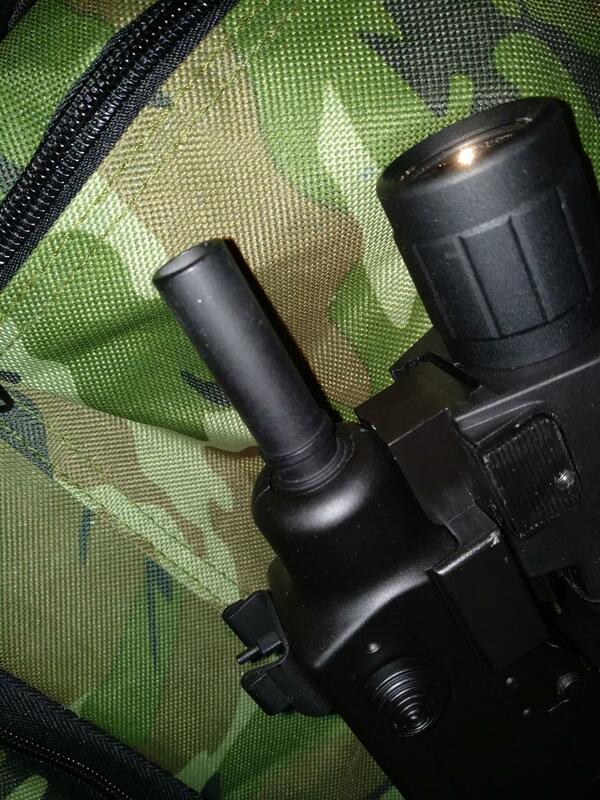 They come supplied with a rail and a threaded adapter with a 14 thread so my b&t tracer fits on no bother. Upper is metal, and comes with a 7.4v 700mah charger/250mah charger, plus an 80 round metal mag. 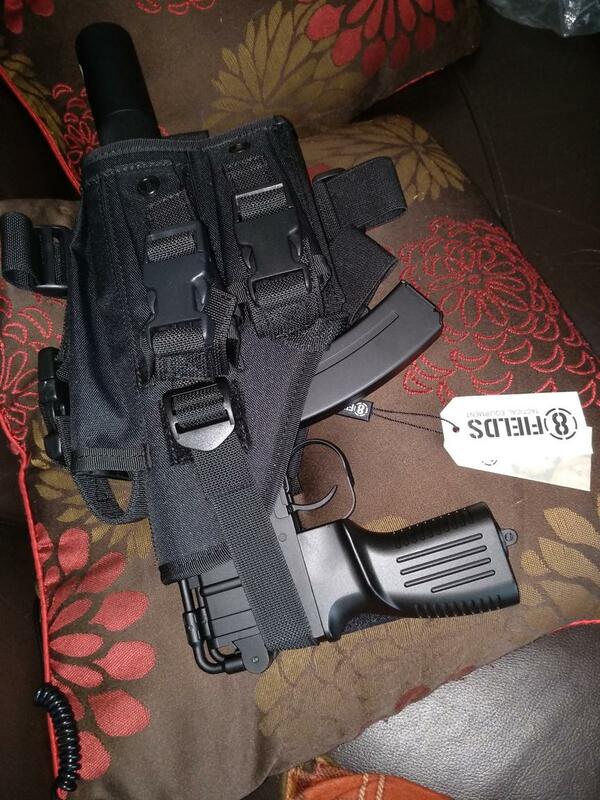 Bought a drum mag for it but doesn't seem to fit all that well, apparently well/marui midcaps fit fine. It just unscrews, I took mine off just yesterday. Mine was used and had been removed previously from the sratches on the repalcement barrel with the threads for the suppressor, so it unscrwed easily. Had to take the whole thing apart as FPS dropped to 150. Bucking had a tear in it. I didn't check the FPS when it arrived, so I don't know if it was me. It was shooting fine even at 150FPS, but my indoor range is only 8.5m, which it could easily handle, at 150FPS. I decided to check the FPS as the chrono was out to fine tune the Tippmann for Sunday. Aha you sir are correct, the exploded diagram made it look like it wouldn't. Had to wrap a tshirt around it due to my feminine grip, you can tell I don't open the jars of jam in my house. Anywah, inner barrel looked a bit dirty, heres some pics. 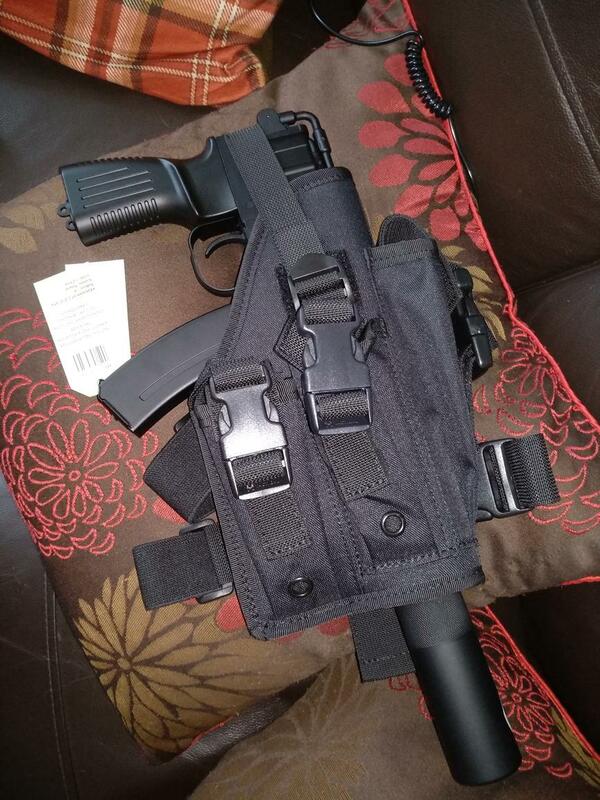 And that drop leg holster was well worth £10 fits nice! All my guns are used, so haven't bought anything new yet. 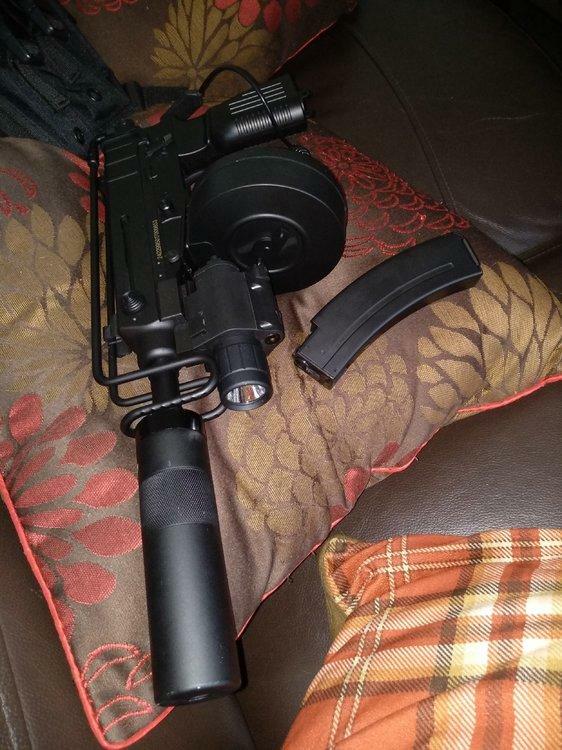 I'm debating whether to put a suppressor on and extend the inner barrel. I have a similar holster in multi-cam, but not drop leg. I took the stock off to use more like a pistol. Might aswell if it will fit in holster, and if you need the range. Mine should be fine as its cqb. 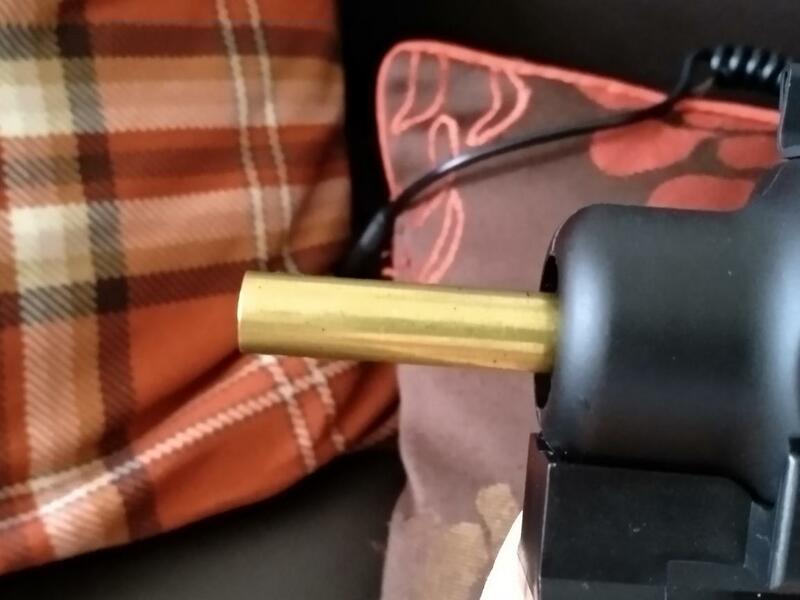 Wouldn't fit with the torch on sadly but not really an issue for me, I don't even think the strike systems one would and that's like £40-£50 the rail seem sturdy but It seems like a crap brittle plastic that will break on impact, holds that torch 9.99 ebay torch well (great torch btw). Don't plan on using it but like it aesthetically over the top, can't clasp it properly with the torch I have on though which is another issue. Does the inner barrel look okay? 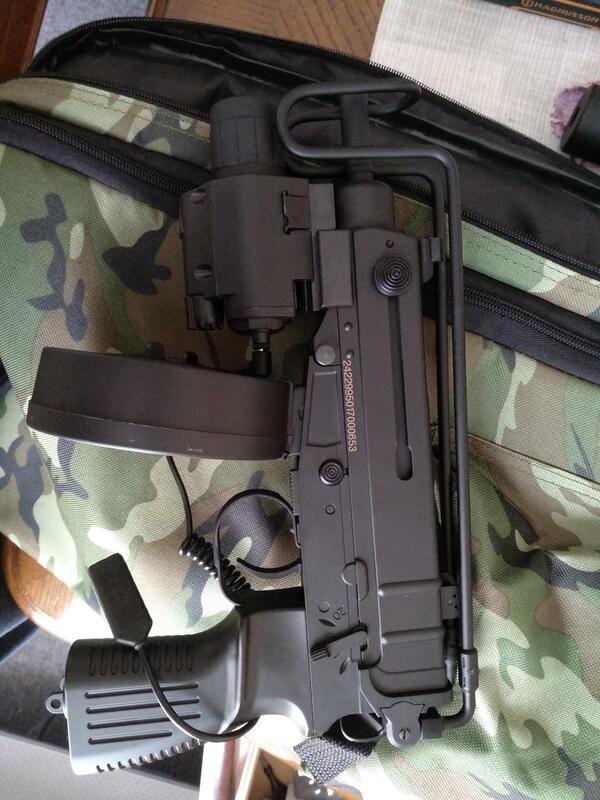 I want a GBBR VZ61. Didn't see this, thought I was going to have to get her drunk but fiddled about and managed it. 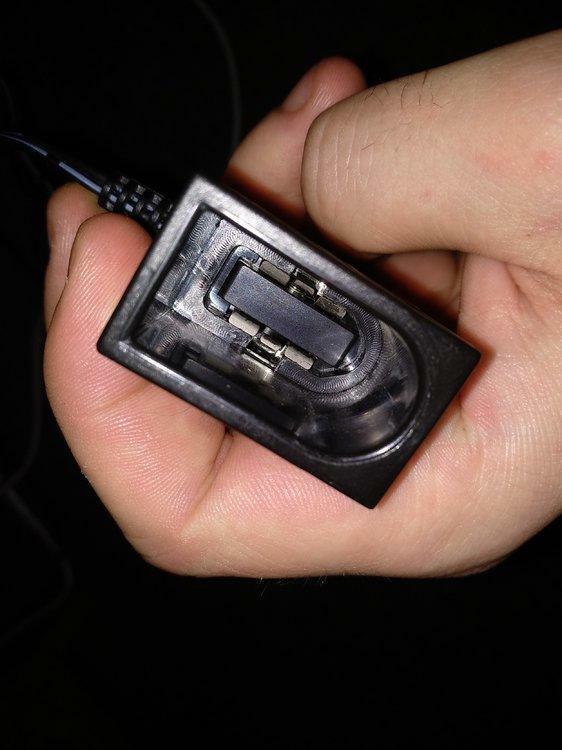 Just have to hold the mag release in and push till its in enough let go and the push till it clicks. Think it was a well drum mag off amazon for like £15, doesn't feed 100% but is better than an 80 round mag, should of really bought some midcaps from tg. I cleaned the inside of mine yesterday, so hopefully internally it's clean. A nice tightbore would probably be better. Ah good then. Yeah, probably not going to mess about internally atm. Definitely, it's only a pistol barrel. Oh just thought, how long did your battery last when you skirmished it, if you have of course? Haven't skirmished it yet. With a partial charge it managed about 2-300 rounds before running out of charge. Did a lot of testing 😉, and let my daughter have a go. Only just charged it up to full, to skirmish on Sunday, but for me it is my secondary as a back up to a DMR, so not sure I will get a full picture then. Ah I see not too bad then, how long did you charge it for, done about 2 hours on mine, think it may need longer judging by the charger. I was told it should be charged for about 4 hours, but I forgot it and ended up charging overnight. Partial charge was 1-2 hours. Ah right, I thought you were meant to divide the battery mah by the charger mah, 700÷250=2.8? Might be wrong, charged it for about 2 hours anyway. 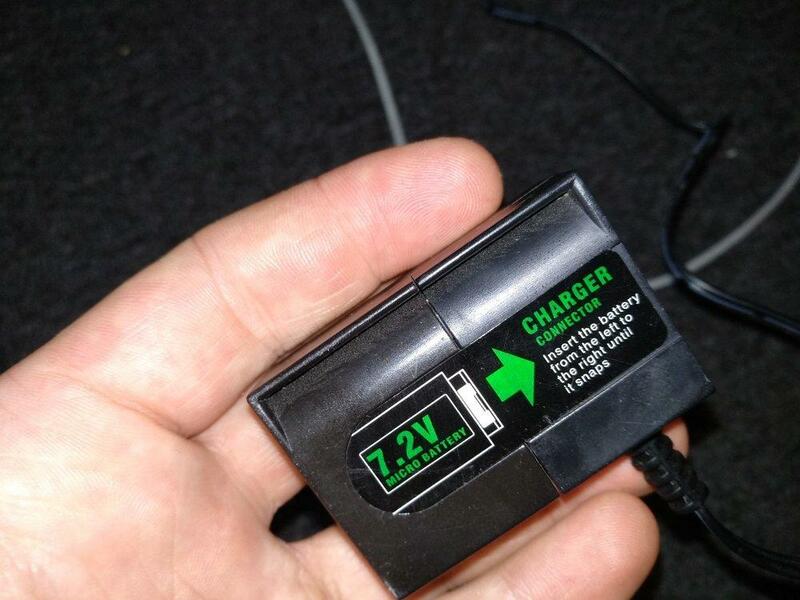 When it comes to lipo's i always advise proper charging equipment, imax b6 being the standard reccommendation. Its a false economy messing with cheap chargers, a decent charger will not only do any lipo you fancy but also all your nimh's and if you need to you can also charge your car with them. Think this may be a nimh as its a micro battery? Comes with a weird charger aswell, had a similar one but alot larger for a crap rc car. Fair enough, i saw 7.4v earlier in the thread so i assumed we were talking 2 cell lipo. 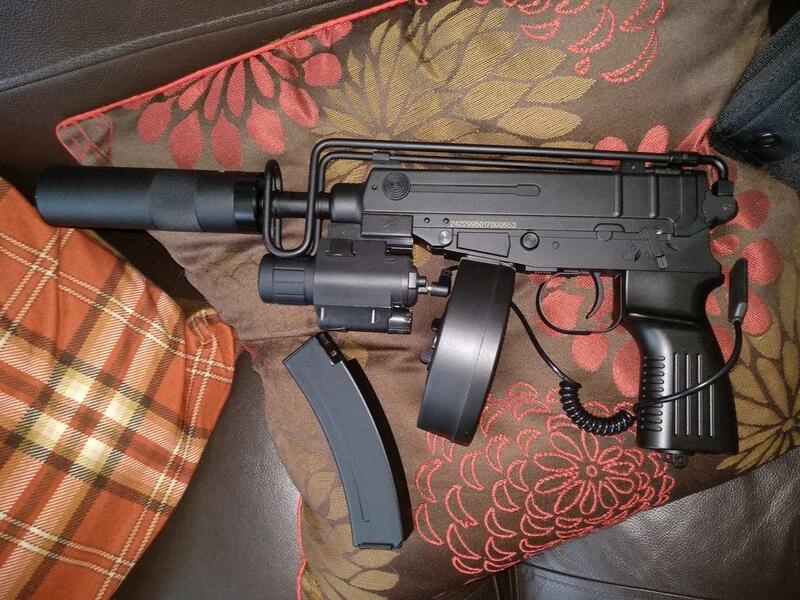 Looks like a weird custom setup, suppose it makes sense for a skorpion. Although now the argument shifts to "lipo>nimh"
Good my young padewan, you are learning the ways of the electro motive force! Will need a major rewire, as there is no free floating connector for the battery. 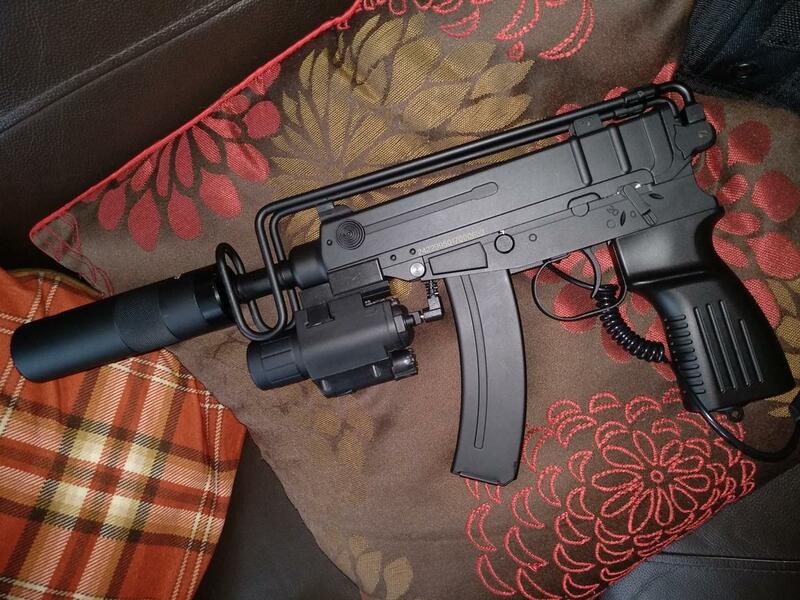 Thread where a guy done it on a Tm scorpion and mp7, plus a mosfet. 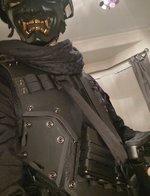 That was the webisite that gave me the idea, but I want to test it in a skirmish first before I do any mods. And I need a new bucking, as I did a temp fix with PFTE tape to fix the leak.